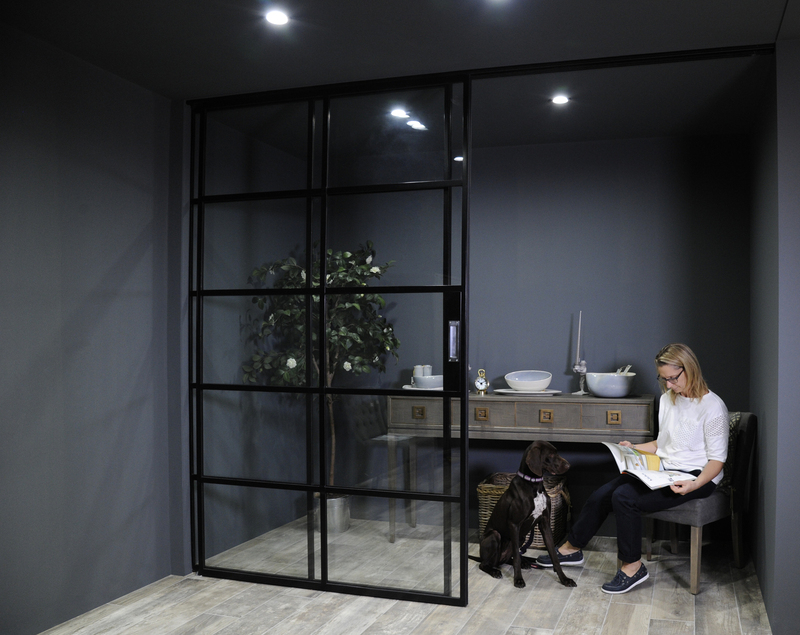 New InnerVision® steel-framed sliding doors from Crittall add a further dimension to interiors. Creating a seamless transition between rooms, by opening or closing space is now possible with new sliding doors from Crittall’s range of InnerVision internal screens. These bright, beautifully crafted walls of glazing will complement timeless styles of period property or contemporary homes. double sliding doors, without compromising light or space. Available in a variety of options, InnerVision screens and doors are designed with modern living in mind, giving a sense of space, light and understated beauty, with clean lines and subtle detailing. The sliding doors feature concealed running gear to provide a sleek finish. Light-in-weight, and with a soft-close feature and floor tracks, they are so easy to use, gliding effortlessly on opening and closing. These new interior sliding doors offer wider opening areas than more intrusive hinged doors, maximising use of inside room space, particularly where it may be limited. Elegantly slender, the slim steel framing is unobtrusive – the distinguished-looking installation makes a wonderful talking point. Natural illumination inside is increased, while enhanced acoustic properties ensure privacy and reduced noise levels. Fully compatible with other InnerVision products, the sliding door option features a secure latch-able configuration. They are available with a wide range of handle styles and brass finishes. Unmatched by other materials, these long-lasting slimline sliding doors look like traditional Crittall windows, providing minimalist retro-looks with a contemporary twist – and larger expanses of glass than others in the marketplace. partition from bathroom to bedroom.